Click in the image to download a PDF version my PhD thesis. Feel free to use it, but remember to cite it! 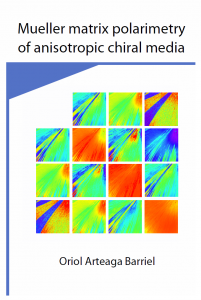 Mueller matrix polarimetry of anisotropic chiral media by Oriol Arteaga is licensed under a Creative Commons Reconocimiento-NoComercial-CompartirIgual 3.0 Unported License.